Product tours do the important job of introducing users to your product or new feature. When done well, they can enhance the user experience and motivate users to take key actions. However, when abused, product tours start to feel overbearing. The additional UI could even annoy users and block them from discovering your product's Aha! Moment. If users don’t find your product tour valuable, you don’t just have a product tour problem. You have the seeds of a much larger user engagement problem. That's why monitoring the performance of your product tour and steering it towards a desired user action are so important. Without clear goals for your product tour in place, you risk wasting users' attention and pushing them away. This guide will walk you through common product tour issues and give you actionable steps for fixing each issue, before you have a larger engagement problem. If your users saw the product tour but didn’t opt into it, there could be a few issues with the targeting and design of the product tour. Note that opting in can mean slightly different things for different UI patterns. For tooltips, modals, and slideouts that can be triggered by landing on the page, this means that the user clicked out of the first element immediately. For hotspots, which are opt-in by nature, it means that the user never clicked into the hotspot. Consider where you target your product tour and why users navigate there. New feature announcements are often targeted to appear upon login, when users expect to see their dashboard. If users log into your product regularly to perform specific and quick tasks, such as looking up a customer’s phone number in a CRM, a product tour prompt at login may get in the way. If the product tour is triggered by an action, it’s worth questioning whether or not that action—visiting a certain page or clicking a button —is meaningful enough to warrant a product tour. If your product tour’s goal is to onboard new users, it’s clear who you should target. It's less clear when the goal is to activate new features for all users. New users may not know your product enough to care about new features in the same way that power users would. 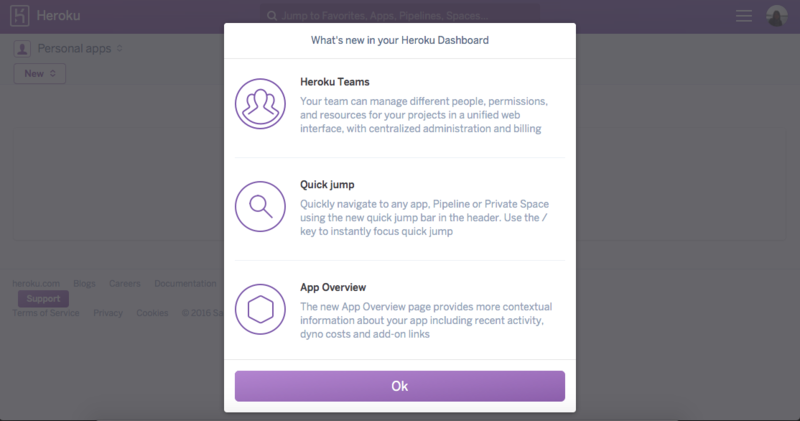 This introduces what’s new in the Heroku dashboard in an informative and easy-to-read design. However, when targeted to new users who aren’t yet accustomed to what’s old in the dashboard, the information provides little value. The most well-intended product tours can fall flat because they’re presented with the wrong UI pattern. A less invasive slideout or a series of well-placed hotspots may be more effective than an attention-grabbing modal window, especially if users are trying to navigate something on their page. To learn more about UI patterns, check out our guide on choosing the right UI pattern for your product tour. Users will also ignore your product tour if it looks poorly designed or not native to your product. Your users started the product tour but dropped off somewhere in the middle. This means that your first step was intriguing enough for users to opt in, but the next few steps couldn’t hold their attention all the way through. 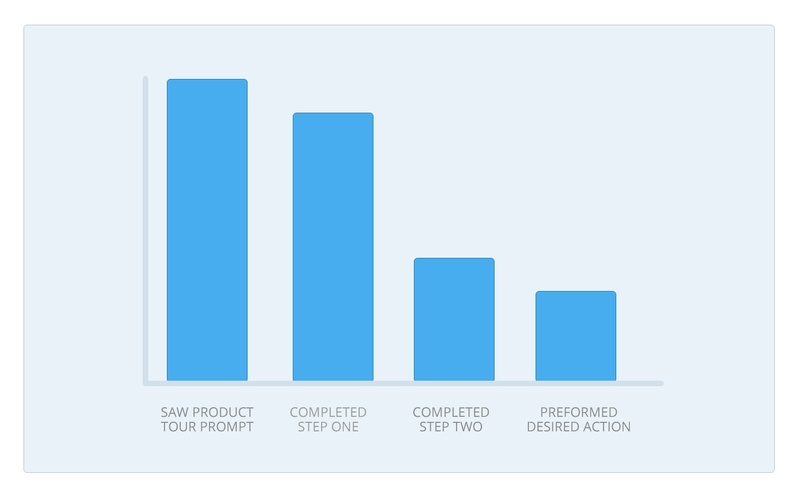 The more steps your product tour contains, the more drop-off points users have. 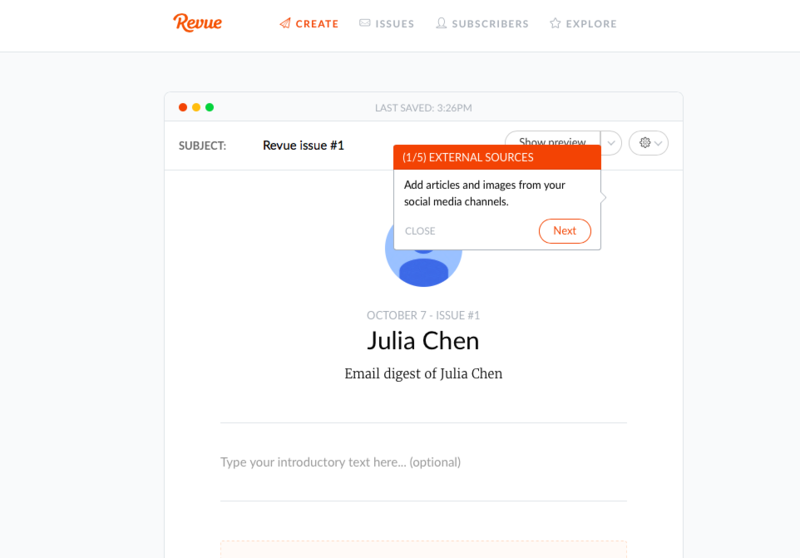 Consider this product tour for onboarding new users to Revue. While each tooltip is pithy and well-designed, the 5-step walkthrough could overwhelm some users who want to poke around the interface themselves. While some users will surely enjoy the guidance, it’s worth testing different product tour lengths if you do see a dip in the middle of the product tour. Hone in on the value you want to convey and eliminate steps that users can discover for themselves at a later time. Even if your product tour has less steps, condensing a lot of information in a short amount of space puts a cognitive strain on your users. 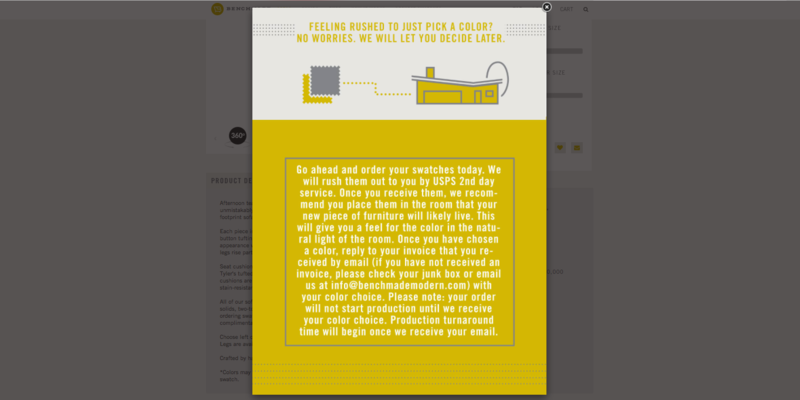 This modal window from BenchMade Modern describes a very detailed process for how customers can try different color swatches before purchasing furniture. While this information can be useful and conveys BenchMade Modern’s flexibility, the modal presents an intimidating amount of text and could be broken up into a multi-step tour. Your users might have dropped off during the product tour because you didn’t hook them in with a convincing narrative at the start. Canva begins a product tour with a compelling, straight-forward value proposition. Users who continue the product tour now have in their minds that they’re doing so in order to take advantage of the “easiest, fastest way to design.” It’s an empowering statement that gives plenty of reason to continue the tour. 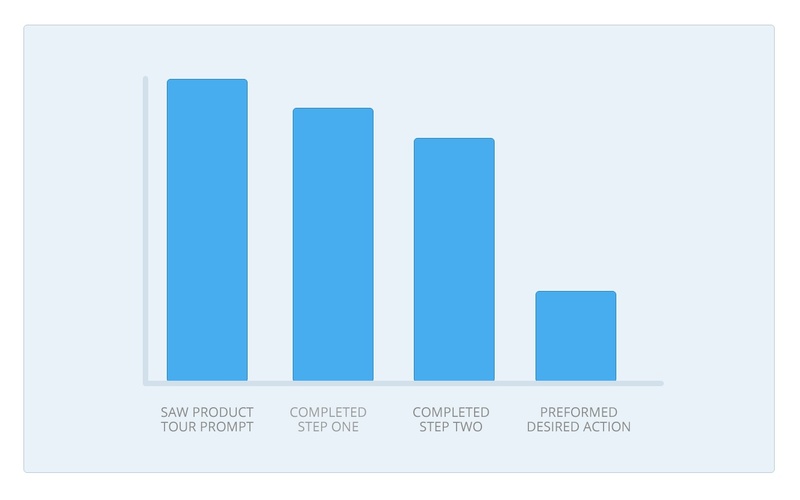 Your users completed the last step of the product tour, but didn’t take the desired action. This is a signal that the product tour was engaging, but something was misaligned between the contents of the product tour and the desired action. While it’s tempting to drive users to a key conversion metric, doing so too early can come off as pushy and turn users off before they have a chance to discover your product offerings. Wayfair uses a single tooltip tour to show users how to save an item. Wayfair shows a lower-effort activity that likely correlates with purchases, rather than prompt new users to make a purchase, a far more difficult task. By removing friction between the product tour and intended action, users are more likely to engage and make a purchase when they’re ready. If your product tour ends with a CTA button, make sure the text aligns to the action and the button redirects users to the best page to perform that action. Here at Appcues, we found that a redirect and simplified copy significantly increased how many new users moved onto the next step. While product tours are designed to show off the product, some overlook the basic importance of explaining why it matters to the user. This sets clear expectations as to what the user will receive upon completing the product tour. The reward of “sophisticated yet simple pivot tables and charts” seems worth the product tour, especially for inexperienced users or users who don’t like digging through data themselves. The best product tours are built with consideration, creativity, and an in-depth understanding of how your product can help users. But just having a product tour in place doesn’t mean much if users don’t get value from it. 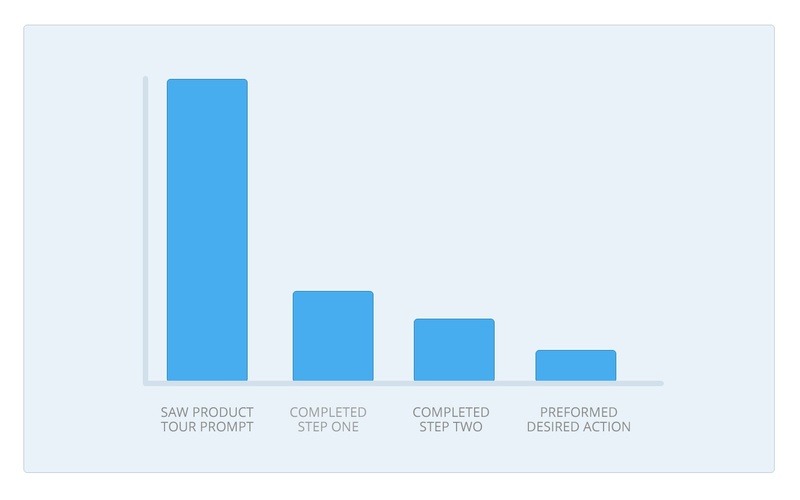 In all of these cases, the activation rate from seeing the product tour to performing the desired action is low. However, the reason for why it's low vary depending on the core engagement issue. Understanding where users disengage and why will be crucial to improving your product tour. 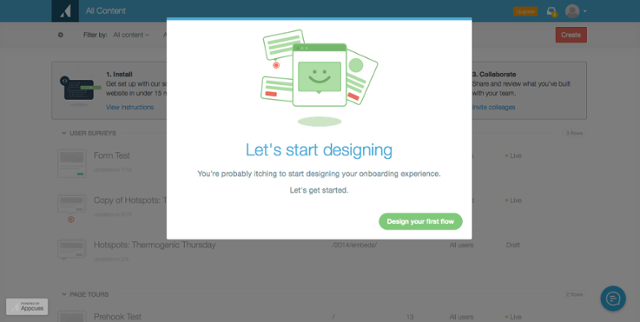 Doing so will only improve your overall user engagement.